Rising from the ashes of the late Gelato Pazzo on Oak Street off of Carrollton Avenue, Tru Burger (8115 Oak St, 504.218.5416) opened to the public last week, serving up hamburgers, fries, hot dogs, and milkshakes from 11 am to 10 pm. Tiled walls, counter seats, booths, and and a few tables give tru burger a diner/hamburger-stand vibe; customers order at the counter and pickup food once order numbers are called. 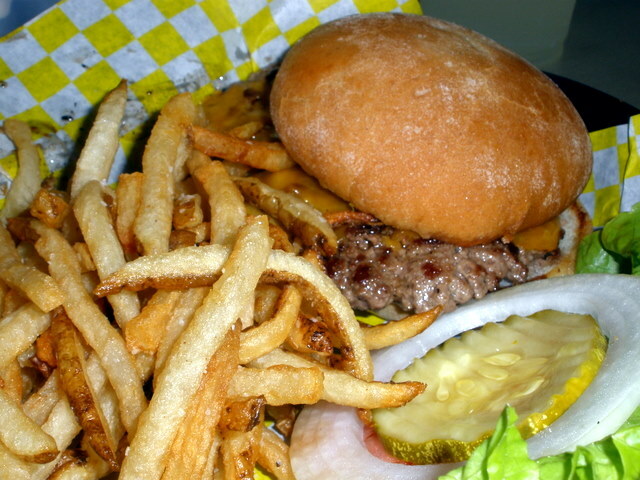 Back to the burgers: ample, flattened patties hang off soft, flour-dusted buns, topped with a choice of sauces, lettuce/tomatoes/pickles/onions, cheese, and chili. Or try an optional upgrade of jalapenos, grilled onions, sauteed mushrooms, applewood bacon, fried egg, or avocado; hot dog toppings include onions, sauerkraut, relish, and jalapenos. 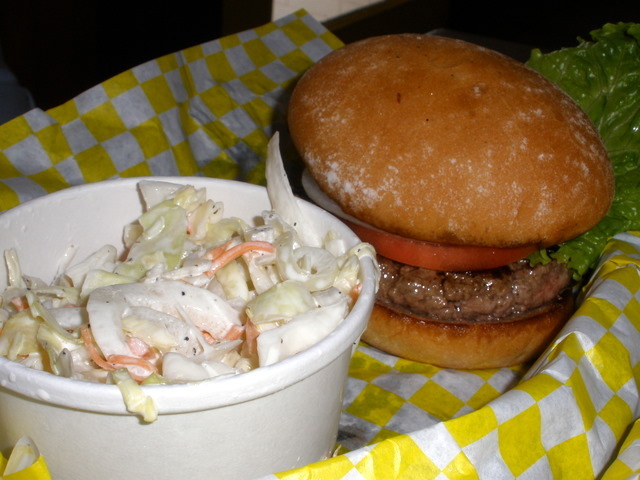 Riding shotgun in the burger basket are sides of slaw, chili, or fresh, thin-cut fries. Those fries were easily my favorite part of the tru burger experience. I’m a fan of thin-cut fries, and shoestring fries are almost an endangered species locally–in quick-service joints, I mean. Loads of good, thin-cut fries abound in our city’s better restaurants, but just try getting a cup of Herbsaint’s fries to go. I promise that the staff will give you funny looks. 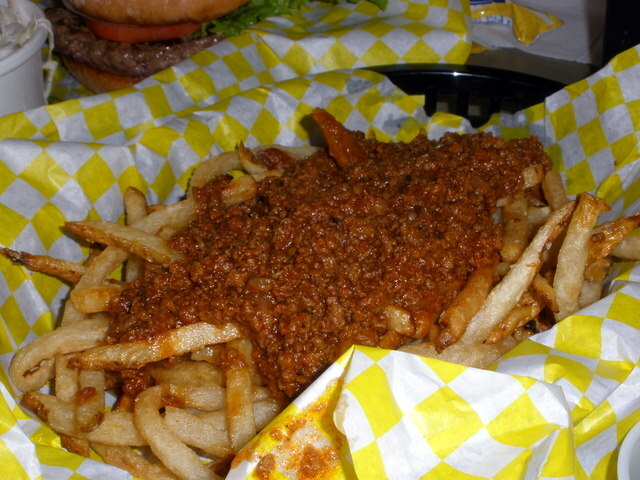 Try topping the fries with tru’s thin, meaty chili (and cheese, if your tastes run that way), and it’s a recipe for undergraduate heaven, which is why I suggest you try out Tru Burger before Labor Day. I think the modest prices ($4.50 burgers, $1.99 fries) and quality food will attract hordes of Tulane and Loyola students once the fall semester begins. I think I’ll try it out this week. And I am in complete agreement about the Facebook instead of normal static website. There should be both. Not just one. The service & layout/seating make it very accessible to the single diner, for takeout, and for quick service…..all things that Camellia Grill, just a few blocks away, definitely is not. The new owners just don’t care. Sad to hear….but hope springs eternal that someone will get a clue and set things back on the right path. Mobile friendly, SEO optimized web page with all pertinent info – address, hours, standard menu, in live text (for ease of copying and pasting into google map or GPS) AND a facebook page for ease of posting menu updates/special offers, engaging patrons, and posting pictures. Also, Twitter can’t be underestimated in the restaurant business. Sing it, sista! Sure hate to see otherwise nice restaurants struggle with marketing….but if your kid still pines for gelato, the La Divina outlet at Loyola is open 12 noon to 8 pm. We’ll check out the Loyola La Divina, thanks.